Part of VF Corporation, Wrangler can be found at apparel retailers, sporting goods stores and select department stores. This Promultis 55inch Totem was supplied and installed in Debenhams, Oxford Street, London. 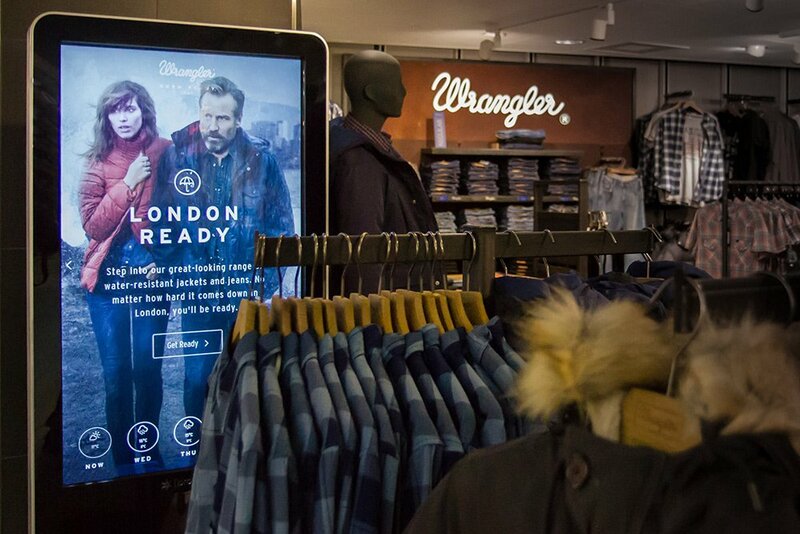 The screen shows Wrangler’s interactive web content specially adapted for the portrait screen.